The Louis Vuitton luxury brand seems to have a rather sizable resurgence in popularity every 25 years or so. At these peak periods of demand, everything bearing the famous LV logo, from handbags to luggage, becomes even more collectible and prices rise in concordance. Louis Vuitton, the man after which the company was named, got his start as a Parisian trunk maker in the mid-1800s long before founding his own business that grew into a statement-making powerhouse. 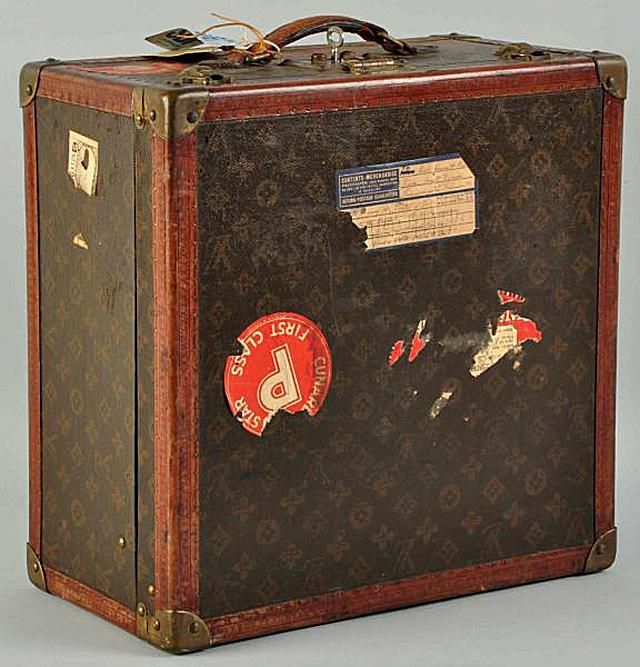 Speaking of trunks, some of the priciest items in this vein are large trunks featuring the Louis Vuitton logo, which can easily sell for thousands of dollars depending on the size of the piece and the condition. Luggage with the LV logo, no matter how poor the condition may seem at first glance, can be quite valuable. Even battered suitcases or those missing handles can sell for hundreds if not $1,000 or more. This style of Louis Vuitton suitcase known as the Alzer is considered to be a classic and one that is still being made in the company's current lines. While not as practical for travel as modern wheeled suitcases, the retail price of this luggage ranged in 2015, depending on the size, from $7,950 to $8,950. This fact alone makes vintage Vuitton luggage attractive to many collectors and LV logo enthusiasts. Decorators often buy several of these cases and use them as end tables in upscale dwellings, adding another level of competition to own them, but is the market still as strong as it was several years ago? In 2012 and 2013, you could expect to pay well over $1,000 for a single Alzer suitcase, and it might not even be in top notch condition. In November of 2015, several examples sold at Morphy Auctions for far less. One example, along with two other pieces of Vuitton luggage, were sold via live webcast auction by Morphy. Falling far short of their $1,500 plus estimates, the other two Alzer suitcases in good to very good condition sold for $475 and $650 before the buyer's premium was tacked on. Louis Vuitton steamer trunks were popular with wealthy individuals around the turn of the 20th century when a set of suitcases couldn't meet the need for trips requiring a more extensive wardrobe. They range in size from miniature trunks used to hold small personal items to very large wardrobe trunks fit for long transatlantic voyages or trips from the winter house to a summer cottage. Pay close attention, and you will note them being used as props in the popular period television series "Downtown Abbey." Many of these types of trunks are purchased today by Vuitton fans to use in their homes either for extra storage space or to serve as coffee or accent tables.